The A.C.E. is the evolution of what customers want: the perfect combination of the Class A and Class C motorhome. 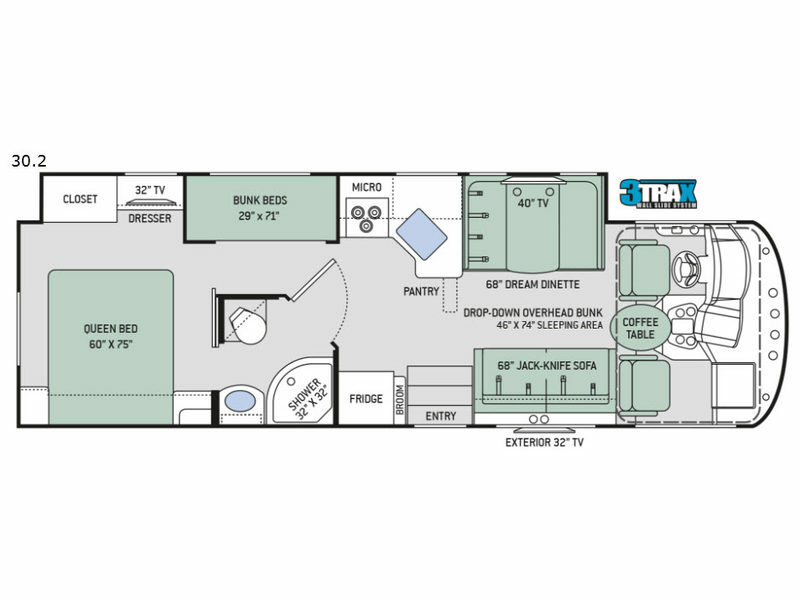 From the exterior graphics to the interior details, you'll be pleasantly surprised with this Thor Motor Coach creation. Built on a Ford F-53 chassis and powered by a 6.8L Triton V10 gas engine, the A.C.E. brings you a smooth ride with plenty of at-home features and creature comforts to make any trip feel as though you never left home. 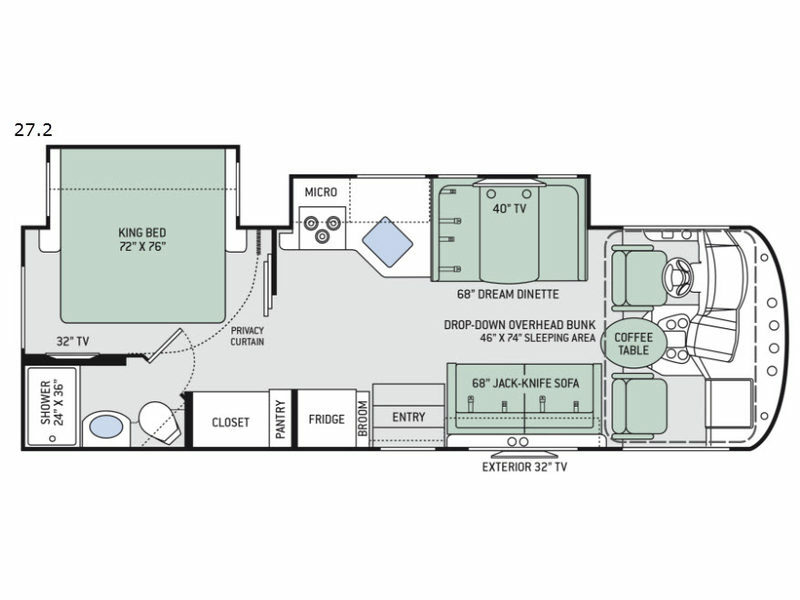 Owners will love the elegant fabric collection, the interior decor choices, and the HD-MAX exterior paint colors. Pet lovers and their pets will appreciate the pull-out Kibble Station with an FDA-approved pet bowl liner, the Bird's Eye Window (pet window), and the Pet-Link multi-purpose tie-down. Find out for yourself why so many people call the A.C.E. 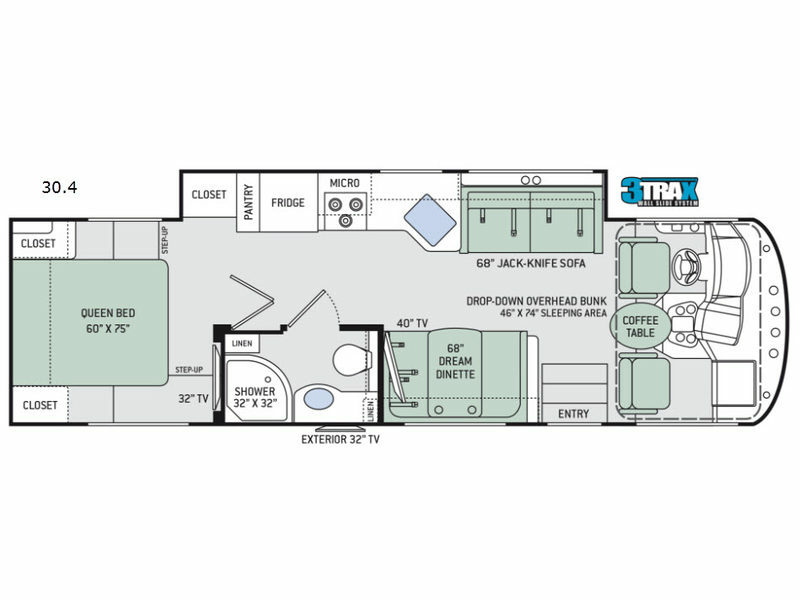 Class A gas motorhome by Thor Motor Coach their home! Basement Storage 107 cu. ft. Basement Storage 72 cu. ft. Basement Storage 126 cu. ft.